A large percentage of Mac users don’t take the security of their devices seriously given the wrong notion that they cannot be hacked. If you don’t want hackers and opportunists gaining access to your sensitive data, it is essential to ensure that your Mac is protected at all times. The good news is that protecting your data from potential cybercriminals is easier with Mac than with Windows. You don’t even need professional assistance to ensure that you are fully secure. In this article, we'll talk about Mac security and provide tips to help you secure your sensitive information. Enabling firewall is the first thing to do to secure your Mac. By turning on the firewall, you’ll have blocked connections to unwanted networks. Most Mac users assume that the firewall is turned on by default, but most of the time it is not. Fortunately, turning on the firewall is easy and straightforward. To enable the firewall on your Mac, go to Systems Preferences and select Security & Privacy. This will open the firewall tab, and you'll see a button to turn on the firewall. Another problem with Mac users is that they overlook the importance of protecting their computers with secure passwords. Not only will a secure password protect you from phishing attacks, but your mind will be at peace knowing that your sensitive information is well protected. Even though passwords (especially complex and unique passwords) are hard to crack, they are easy to forget. This is where password managers come in. With a great password manager for Mac, you’ll not have to stress about remembering your unique passwords. Check out these password managers for Mac and choose one. 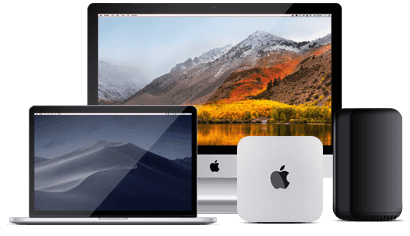 If you are one of those Mac users who download a lot of stuff from the internet or exchange files with friends and colleagues regularly, it is imperative that you have reliable antivirus. You do not want to have malware or hackers finding their way into your computer. It is also essential that you update your antivirus regularly to ensure that you are fully protected. Install Mac antivirus software today and keep your important files and sensitive information protected. Using a VPN is another way to keep your Mac protected. Today, people like shopping online and using public Wi-Fi in coffee shops, the airport, and in hotels. While buying online is fun, it can also be hazardous. Cybercriminals could quickly gain access to your sensitive information and use it to carry out their fraudulent activities. VPNs use powerful encryption technology to make sure unwanted parties don't gain access to sensitive user information. Check VPNpro for a detailed VPN comparison to choose the best option for your needs. Never install pirated software on your Mac. In addition to being illegal, installing pirated software on your Mac also puts your sensitive data at risk. Pirated software is used by cybercriminals to spread malware to unsuspecting users. Unfortunately, most Mac users don't know that by installing pirated software they give fraudsters an opportunity to steal their sensitive data. Pirated software will not only expose your sensitive information to potential cybercriminals but can also get you on the wrong side of the law. We recommend that you keep off the peer to peer sites when downloading software for your Mac. There are many tracker apps for Mac on the market you can install. The best tracker app will help you find your Mac if it is stolen or get misplaced. Take time to research on the best Mac tracker apps and choose the one that works best for you. One thing about premium Mac tracker apps is that they’re relatively affordable. Additionally, Mac tracker apps are easy to use. Lately, many Mac users have been complaining about the Flash Player because of its numerous security issues. Adobe Flash Player poses a broad range of security threats and requires frequent updates to patch new faults. For this reason, if you rarely use your Adobe Flash Player, we advise you to uninstall it right away. There are various ways to uninstall Adobe Flash Player, but the most effective way is by using Flash Player Uninstaller. Additionally, you can also choose to uninstall your Flash Player manually. Follow the instructions provided in Adobe’s uninstall guide to uninstall Adobe Flash Player from your Mac manually.